The Stiga SP 386 14" Chainsaw is equipped with a functional and reliable engine providing great perf.. 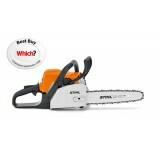 The Stiga SP 386 Chainsaw is equipped with a functional and reliable engine providing great performa..
Advanced engine technology and a great value price make the Stiga SP 466 45cm/18" Chainsaw a must-bu.. 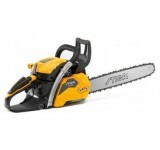 The Stiga SP 526-20 Chainsaw for people who value professional qualities in a saw. The powerful 52cc.. 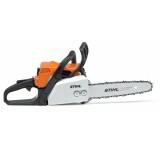 Handy introductory chain saw for thinning out wood, sawing firewood and for felling small trees up t..
One of a new generation of occasional use saws, the STIHL MS 171 chain saw features reduced-emission.. Compact chainsaw for cutting firewood and property maintenance. 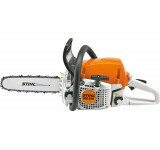 The economical 2-MIX engine supplies.. 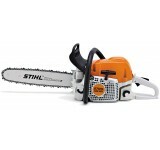 Packed with new technology—at a value price—the STIHL MS 181 chain saw is designed to reduce vibrati..
Advanced engine technology and a value price are just some of the things the STIHL MS 211 chain saw .. 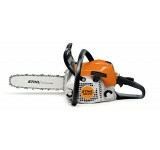 The versatile MS 231 chain saw is ideal for private users or farmers felling small trees, cutting fi.. 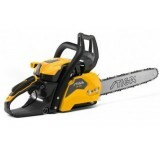 The MS 251 is ideal for a variety of applications, from cutting firewood to timber construction. 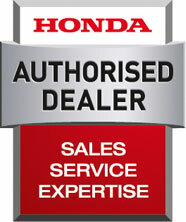 Thi..
High performance mid-range option for the demanding farmer, gardener or landscaper. 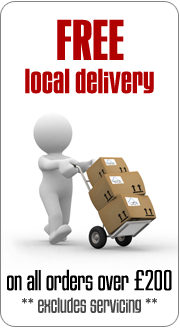 Versatile, durab.. 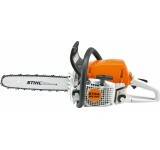 Durable 2.8kW petrol chain saw is a practical all-rounder for farmers, landscapers and gardeners. 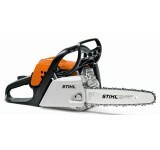 Wi..
Easy-to-manage, high-torque chain saw for improved performance and user comfort when harvesting wood..